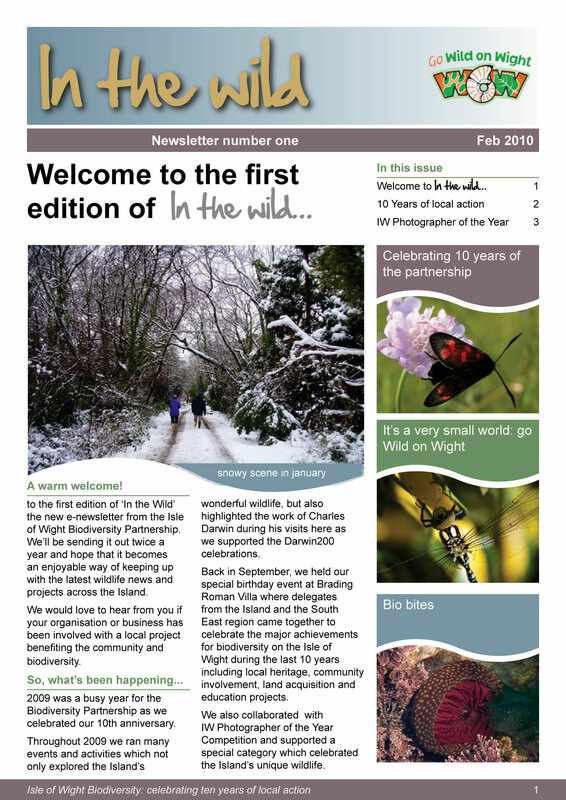 The Partnership has from time to time produced a newsletter. In this archive you can view old copies. Note that the newletters are now no longer produced regularly, and that these editions may contain details that have been superseded. 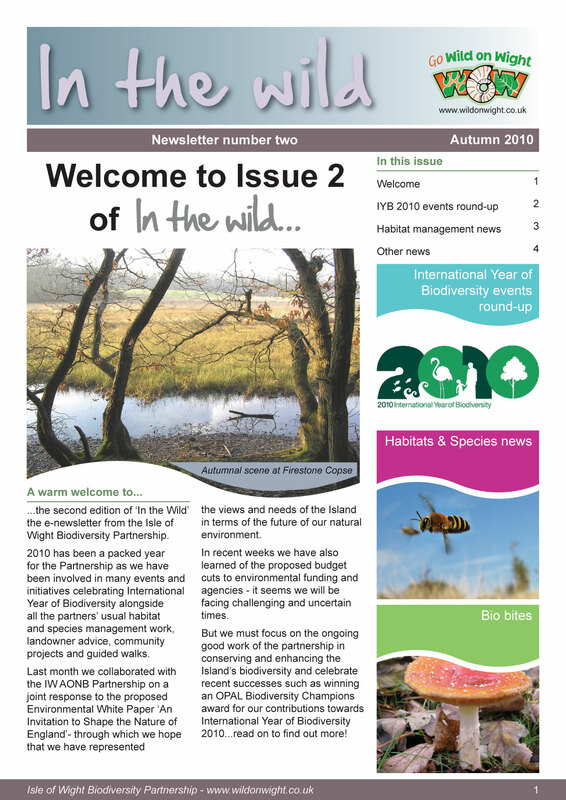 You can view the two issues of the 2010 "In The Wild" newsletter from the Biodiversity Partnership. The Partnership produced a newsletter giving updates during the BAP preparation process. The six editions produced are available here.